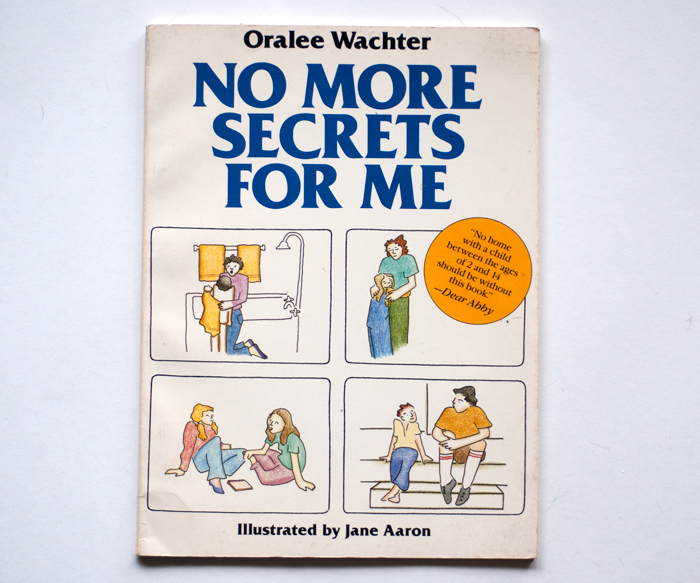 Two More Selections from Our Collection of Terrifying Nixon-Era Children's Books: Safety Zone and No More Secrets For Me | sweet juniper! 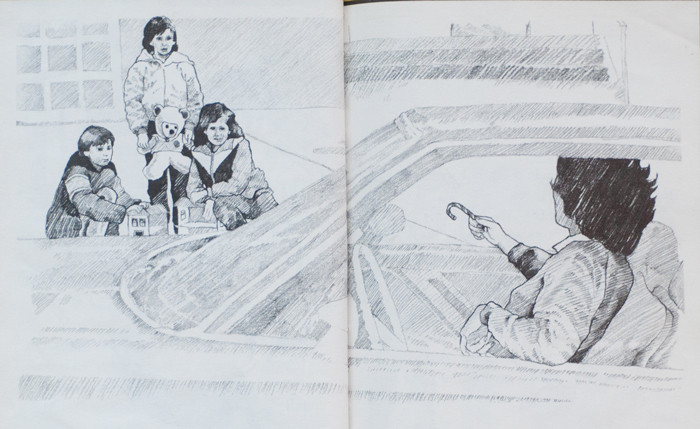 The kids somehow busted my new scanner so I have a backlog of creepy old children's books. 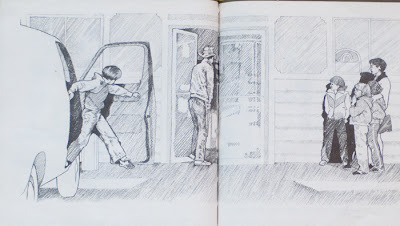 Today I'll share two books that I guess are supposed to teach kids how to react in the worst possible scenarios they might encounter: kidnapping and sexual abuse. 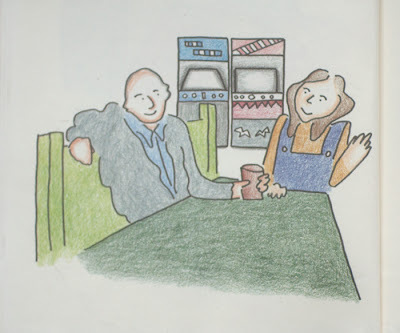 There seems to have been an entire niche of the publishing industry dedicated to serving the needs of parents who were uncomfortable talking with their kids about certain controversial subjects. I can vividly remember the day my own parents chucked a creepily-illustrated book about puberty into my room and I spent the next several years terrified of "nocturnal emissions." 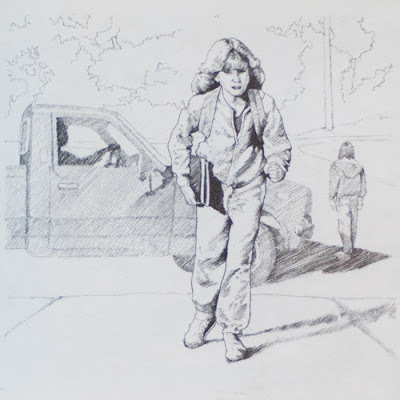 The first book (Safety Zone, published during the wave of stranger-kidnapping hysteria that followed the Adam Walsh murder) features creepy illustrations of strangers attempting to kidnap children. 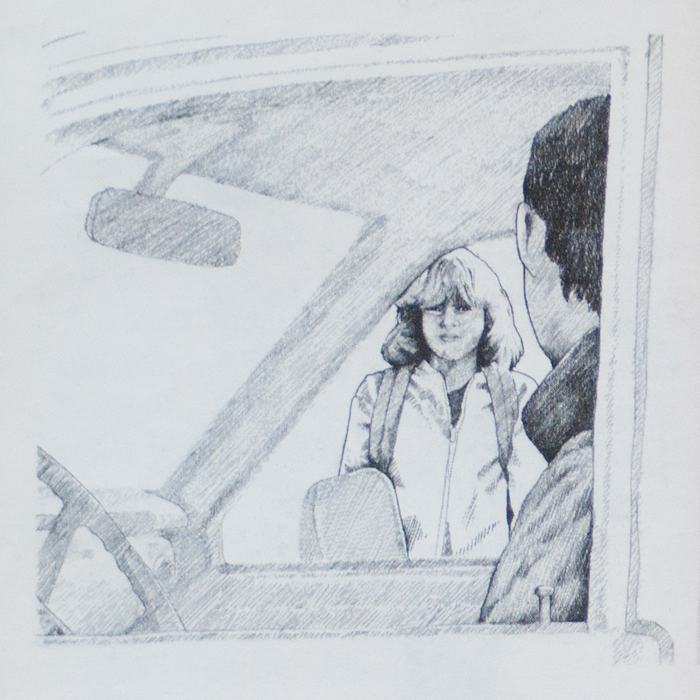 Each scenario could basically be summed up as, "Don't get into a car with a stranger. If someone tries to take you, run and yell." See all the pictures and the entire post here. I like how that girl totally abandons her friend in the shadow of the creepy man's pickup. The author seems to be saying, Someone's going to get locked up in that crawlspace for four years, but it doesn't have to be you. It's the law of the suburban jungle gym: you only need to be more clever than the next candy-starved tween. I can't look at these pictures without thinking of that Frogs song "Children Run Away from the Man With the Candy." What's up with this lady and her candy cane? Nobody actually wants to eat a candy cane, crazy molester lady. The second book has been in print and revised as recently as 2002 (with new text and illustrations) but it dates back to the Carter Administration. 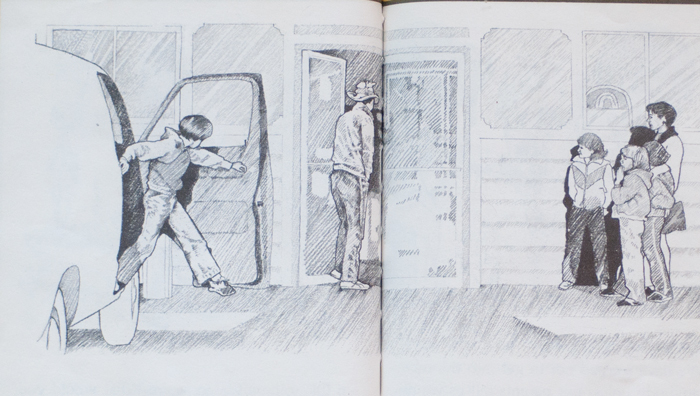 As with Safety Zone, the illustrations in No More Secrets For Me are, at best, disquieting. 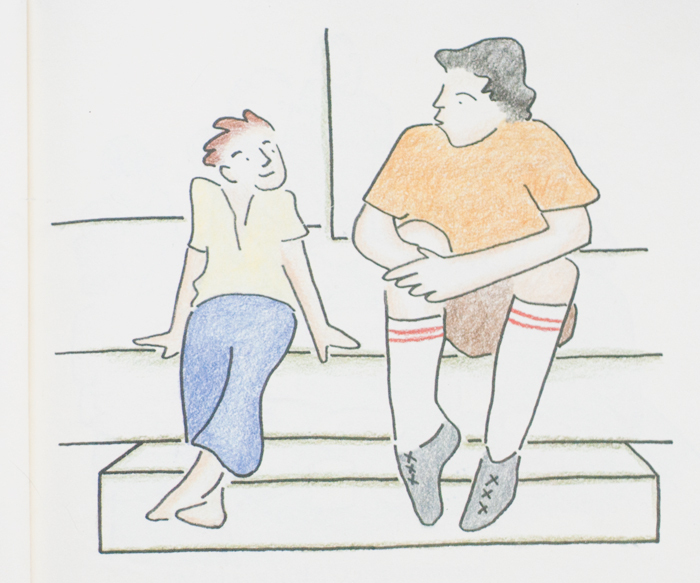 Each scenario in the book is illustrated with a "before" image of an interaction between an adult and a child, and an "after" where a line has been crossed. It's interesting to look at more recent versions of the book, because the explicitness has been tamed down and made more cartoonish. I know they still must be making books like this, and in thirty years someone will probably be making fun of them. 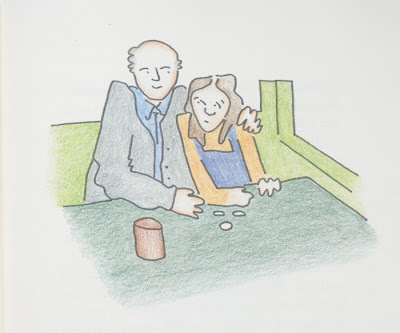 I think the fundamental creepiness of these books---whatever their good intentions---shows that this is simply something parents are supposed to talk about with their kids, a duty that should not be relegated to a picture book. Of course, these authors and illustrators surely intend that the books spur conversations, but what about the cases where they don't? 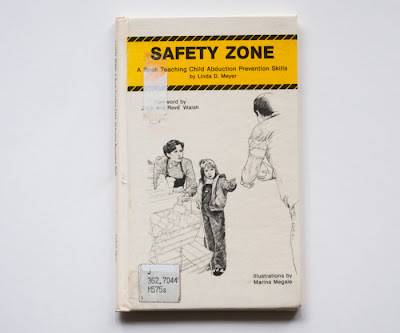 I maintain that these books are terrifying because they warn kids about the most dangerous situations they might find themselves in, but the authors are hamstrung from explaining exactly why these situations are dangerous (or in the case of sexual abuse, wrong). 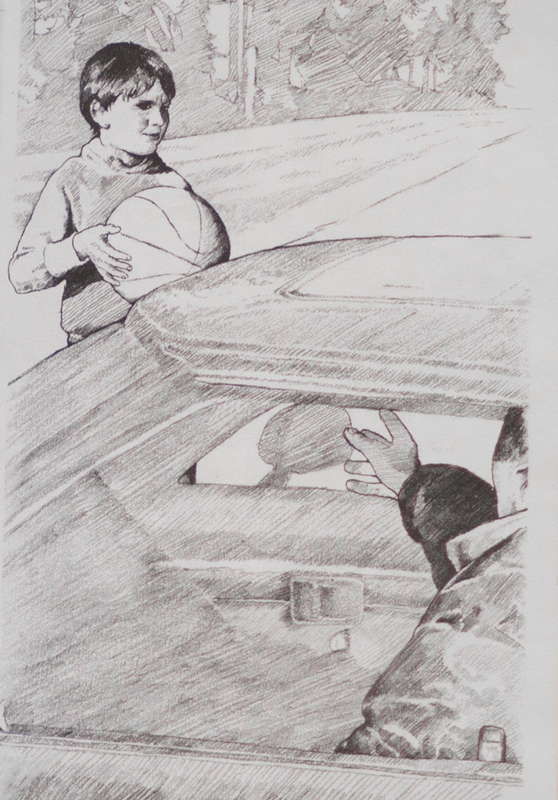 Why would an adult try to lure a kid into a car? Why would an adult get naked with a kid? 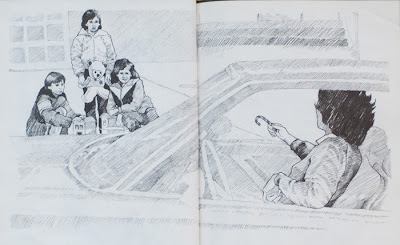 Such books offer no answers, and in the end they run the risk of terrifying more kids than they help.